As a San Fernando Valley contractor, I work with real estate investors whose specialty it is to flip houses. Once an investor purchases a property, he hires my experienced construction team to make minimal or extensive upgrades, and then sells the house for a profit. After helping to flip houses in Sherman Oaks for over two decades, I can give tips on improvements that can make or break a sale. Obviously, if the house you are attempting to sell is in bad shape, major upgrades are needed. However, if the property is in good standing, some minimal changes will do the trick. Remember that a potential buyer will make a first impression of your house before even stepping through the door. Therefore, some curb appeal tips are guaranteed to bring in more people to see the place, which will turn into more offers and a higher price for the house. Paint – A fresh coat of paint will turn a rundown-looking house into a new and inviting home. In the hot California sun, paint often looses its luster and cracks. It’s important to paint your house to give it a newer look. Pick a neutral color that will appeal to the majority of potential buyers, like white, gray, beige or tan. When picking your color, try to match it to the colors of the neighboring houses and also to the surrounding landscape, to make sure it’s not an eyesore, or a color that greatly stands out. When painting, remember the details, like doors, fences and outside window shutters. Landscaping – If the house you are trying to flip in Sherman Oaks has been sitting empty for a while, chances are no one has watered the grass and other greenery. It’s very off-putting for buyers to see a house with dead grass and decaying plants. Take the time to beautify the front and back yard, replacing any grass, trees and shrubs that have wilted. You can always opt for fake grass, which will still present a clean look without the high California water bills. Fence – Adding a fence for your Sherman Oaks house-flipping project has many beneficial uses for the potential buyers. First, a fence provides added security to the new owners of the house. It will act as a barrier to keep unwanted salespeople and strangers out of the property. Also, it will prevent little children and pets from leaving the premises. Second, a fence provides more living area outside. When you fence in a front yard, the family can add a garden, patio furniture or a swing set, knowing that the area will be closed off to trespassers and provide privacy. Remember that when trying to flip a house in Sherman Oaks, a San Fernando Valley contractor will be able to suggest quick and easy curb appeal tips to help you sell the property quickly and easily. 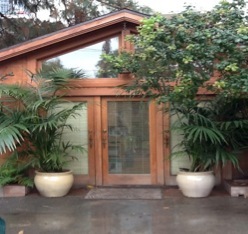 To get a quote for upgrades to flip your Sherman Oaks house, contact us.